The 4-Pack can create a dust barrier up to 30ft long or you can build a three-sided barrier creating a room within a room. It’s ideal for getting started with the ZipWall® Dust Barrier System or adding to your existing system. Each 4-Pack comes with a carry bag, so you can get one for each truck. 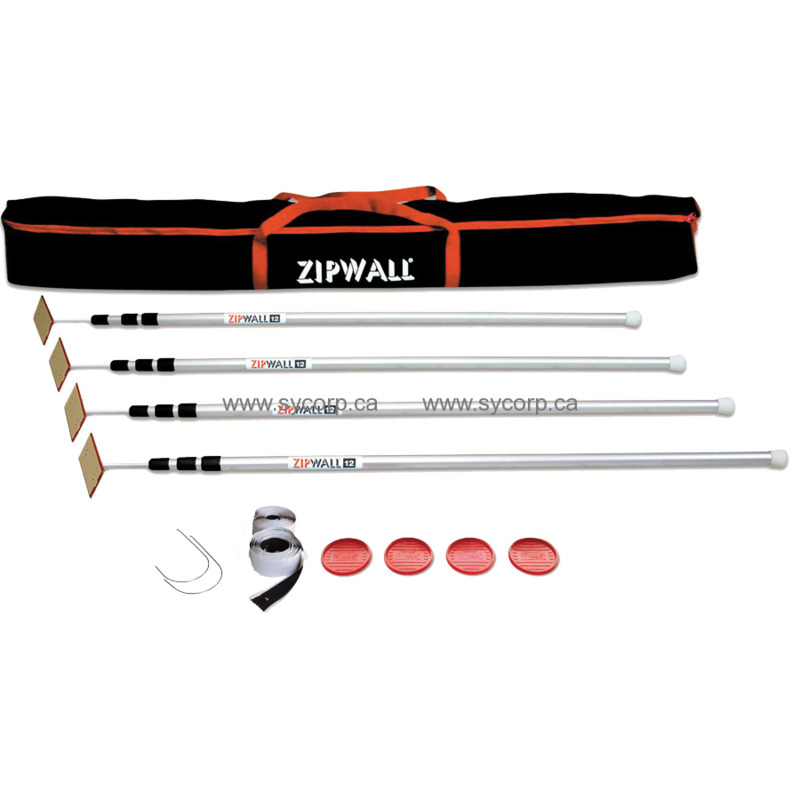 SLP 4-Pack contains four 12ft aluminum, spring-loaded poles with parts, a standard zipper 2-pack, and one ZipWall® carry bag. Plastic sheeting is not included. Such a quick and easy way to set up a containment. Ideal for Abatement and remediation professionals. This product is perfect for use with the Rip Proof Poly rolls. If you have never used these before for your abatement or remediation work, they can pay for themselves very quickly with increased production. I would recommend this to anyone!